My Grandfather's medals from his time in service; (Top Row) Army Good Conduct Medal, American Defense Service Medal w/Foreign Service Clasp 'Germany', American Campaign Medal (Bottom Row) World War II Victory Medal, Army Occupation Medal w/Foreign Service Clasp 'Germany', National Defense Service Medal, and Armed Forces Reserve Medal. 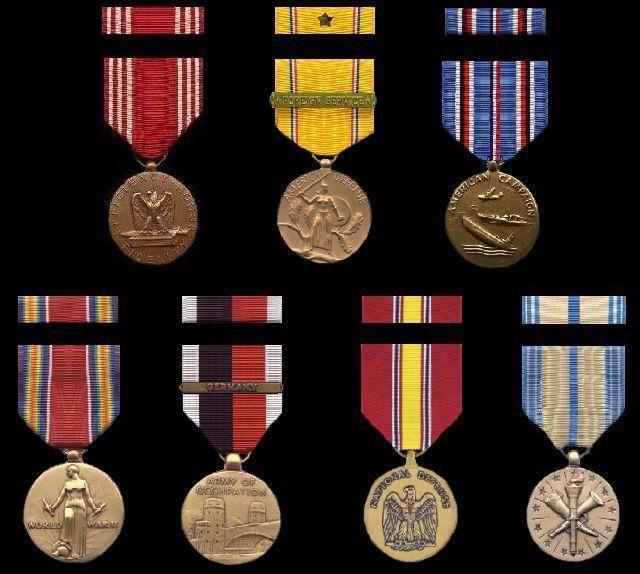 My Grandfather's ribbons; (Top Row) Army Good Conduct Medal, (Middle Row) American Defense Service Medal w/Service Star, American Campaign Medal, World War II Victory Medal, (Bottom Row) Army of Occupation Medal, National Defense Service Medal, & Armed Forces Reserve Medal. 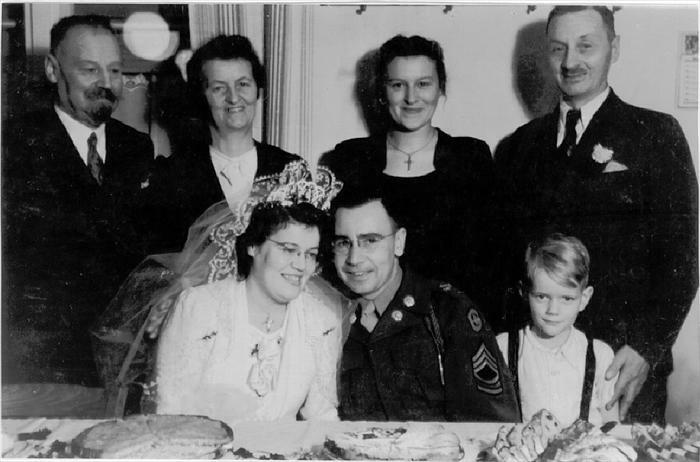 My Grandfather, Oma, and her family. Taken in June 1953. 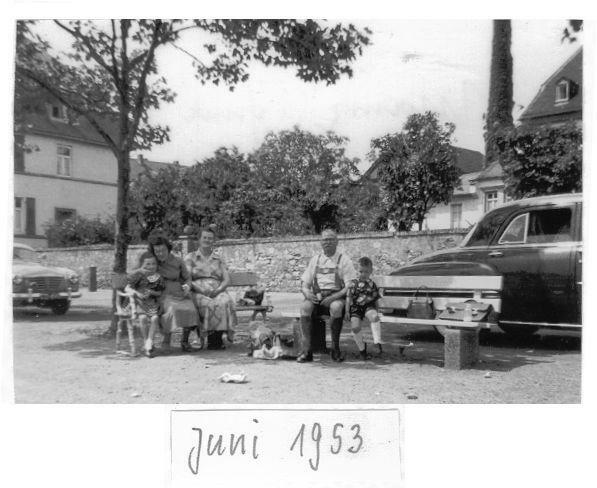 My Oma and her family in Mainz, circa 1953. Family outing in Mainz. 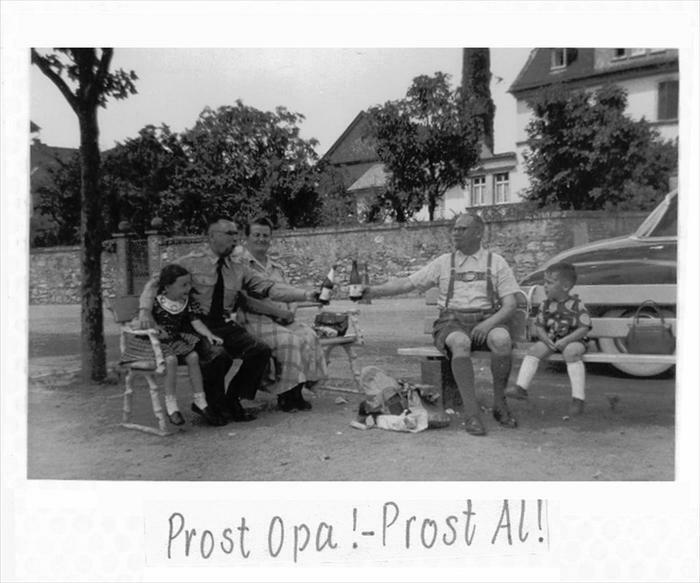 My Grandfather doing a German toast (Prost!) with my Great-Grandfather Jakob. 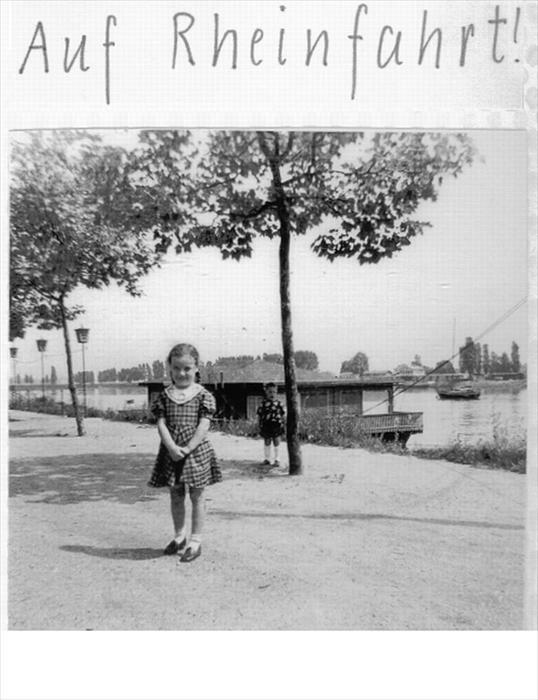 My mom, when she was 6 yrs. 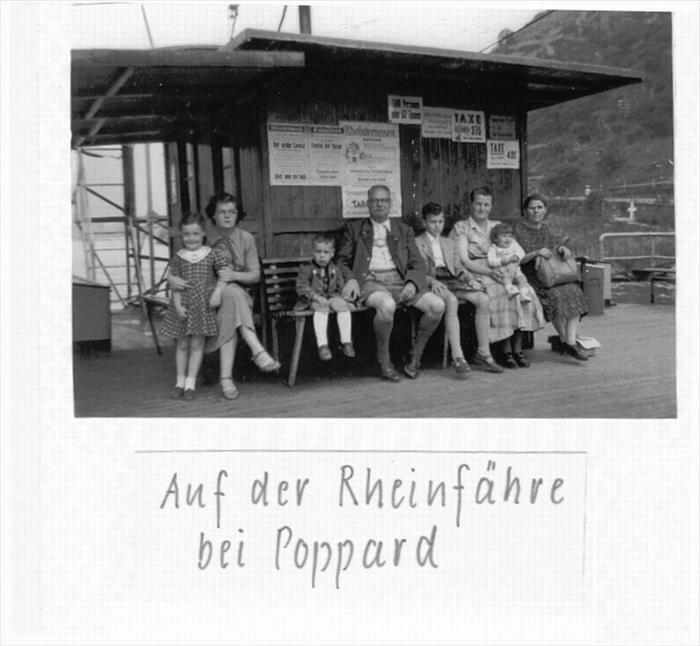 old on a trip to the Rhein, circa 1953. 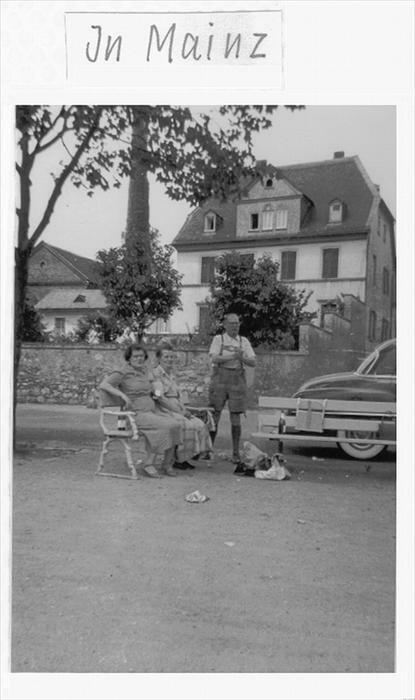 The family at the beginning of their tour of the Rhein River, crica 1953. 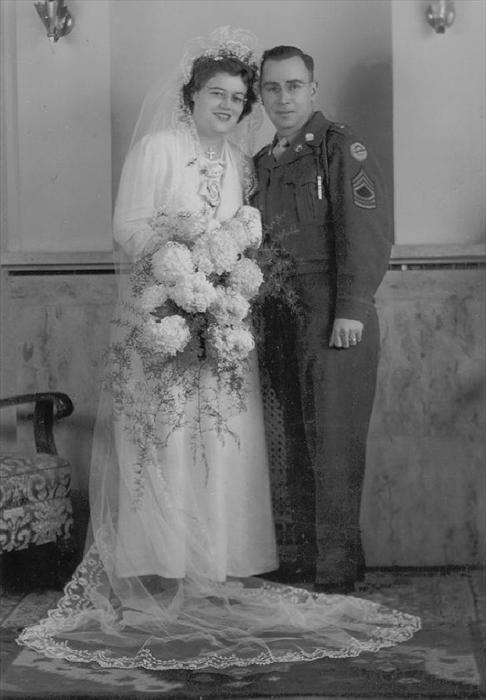 My Oma & Grandfather at their wedding reception. 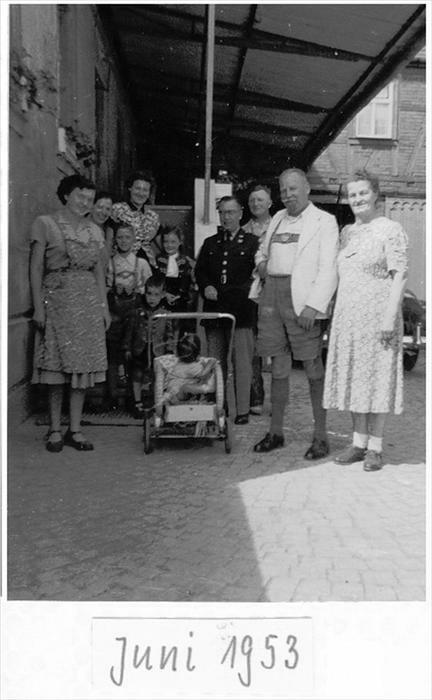 Behind them from left-to-right, is my Great-Grandfather, Great-Grandmother, my Aunt Anneliese, and an unknown friend with child, circa 1948. 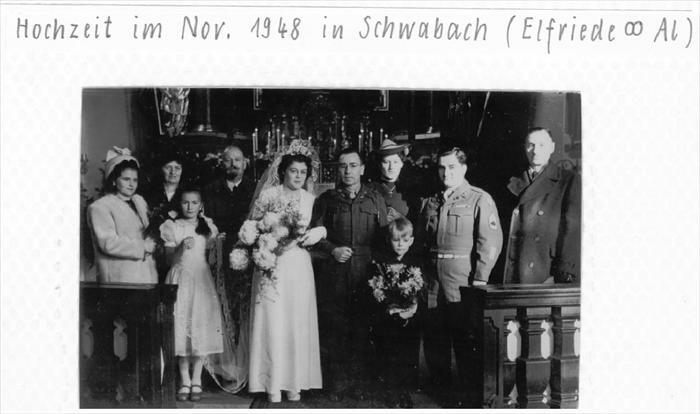 Oma and my Grandfather posing with the Wedding Party, circa 1948. 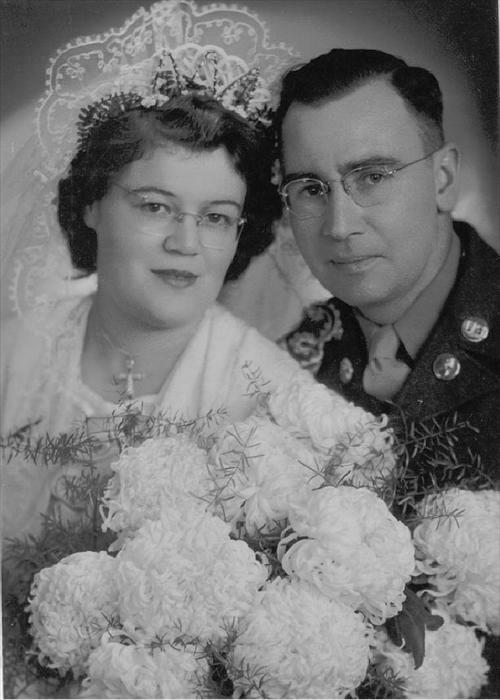 Oma & my Grandfather posing for their wedding portrait, circa 1948. Oma & my Grandfather posing for a portrait, circa 1948. 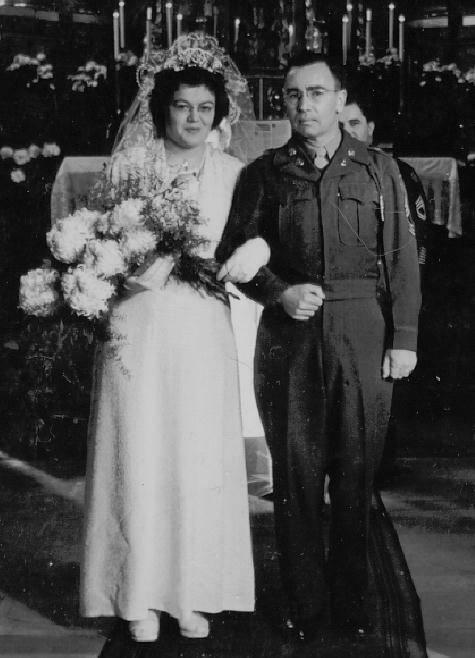 Oma & my Grandfather arm-in-arm, after they have been wed. Circa 1948. 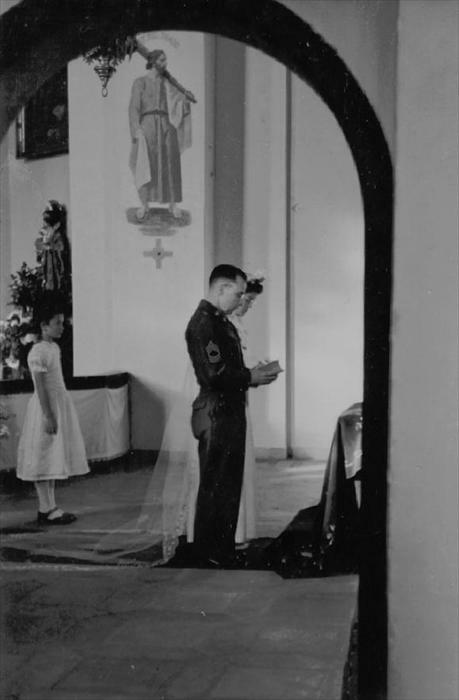 Oma & my Grandfather at the altar, circa 1948. 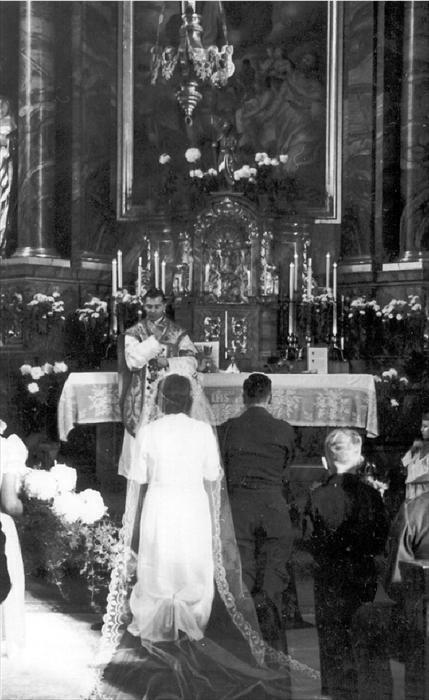 Oma & my Grandfather praying at the altar before the wedding ceremony. 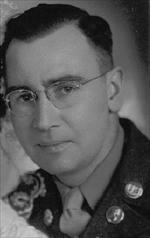 Circa 1948.